You Really Don’t Need to Make this from Scratch! So, I’m a big believer in fresh ingredients and making things from scratch…well almost everything! There are a few products that I’ve come across that are just as good as from scratch or even better!!! Trust me, no one will ever know and this will save you a ton of time this Christmas season…. 1. 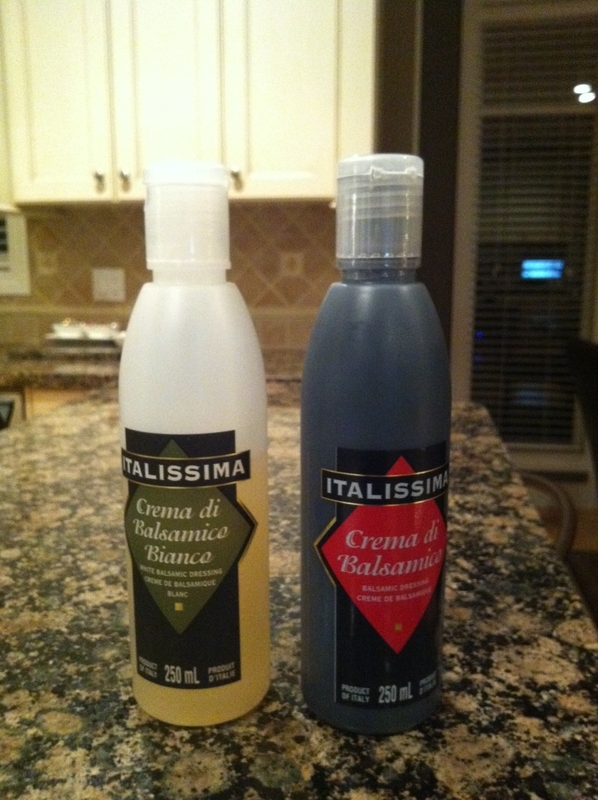 Caesar dressing – ok, I’ve tried so many recipes including a copycat of Earl’s recipe. 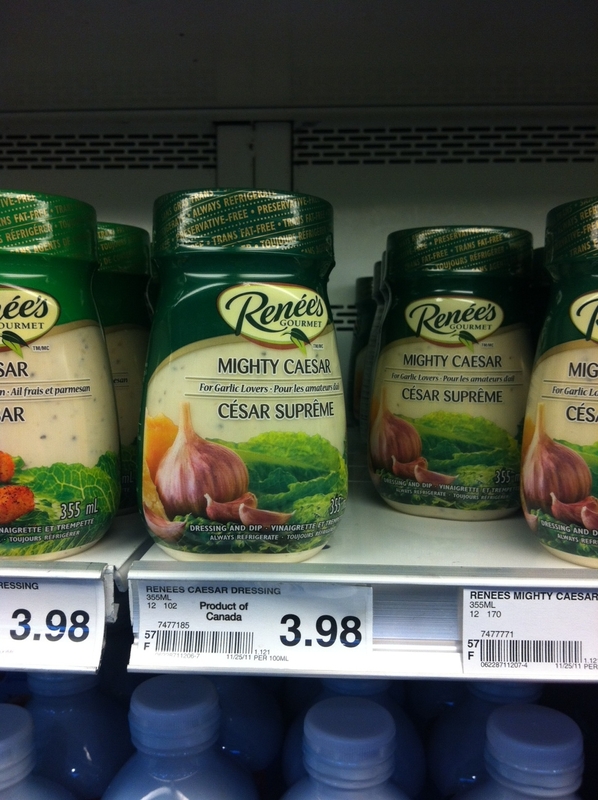 Honestly, Renee’s Mighty Caesar is the best creamy Caesar salad dressing out there, and better than I can make. I’ll admit that I’ve even emptied the contents into my own container when I’ve been asked to bring a Caesar salad!!! Here’s little hint. The dressing is quite thick, so you can thin it down with a bit of milk. 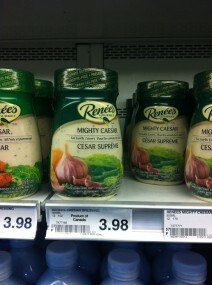 Make sure to buy the “Mighty Caesar” dressing. The regular one doesn’t have the same punch! 2. Hummus – Laurel discovered Tribe Hummus at the Westcoast Women’s Show. Laurel especially likes the Tribe Hummus with toppings…it comes in 7 different varieties. They make their hummus from only natural ingredients. 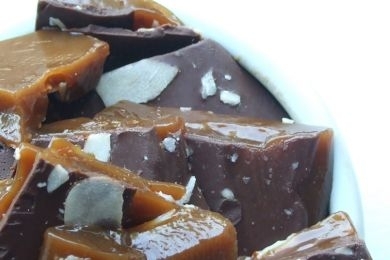 Carefully scoop it out of the package and put in your own dish. No one will ever know. Serve with warmed up naan bread or raw veggies! 3. Balsamic Reduction – this is called for as a finishing touch in a lot of recipes. It’s awesome on Laurel’s flatbread and I also use it on roasted beets with feta. But you don’t need to make your own. Italissima makes an awesome one called Crema di Balsamico. They also make a white one. 4. Shortbread Cookies – you don’t have to make these from scratch!!! Dessertco sells their batter by the bucket or already in preformed pucks! Laurel is VERY particular about shortbread and her expectations weren’t very high, but she was shocked in a good way! 5. Tomato Soup – I have tried several recipes and have never had good success making tomato soup from scratch… it’s always too acidic. 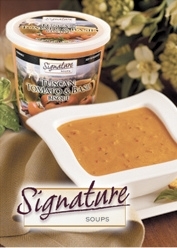 But, Safeway’s Select Tuscan Tomato and Basil Bisque is so good and it tastes homemade. I usually warm it up on the stove and thin down with a bit of cream. 6. 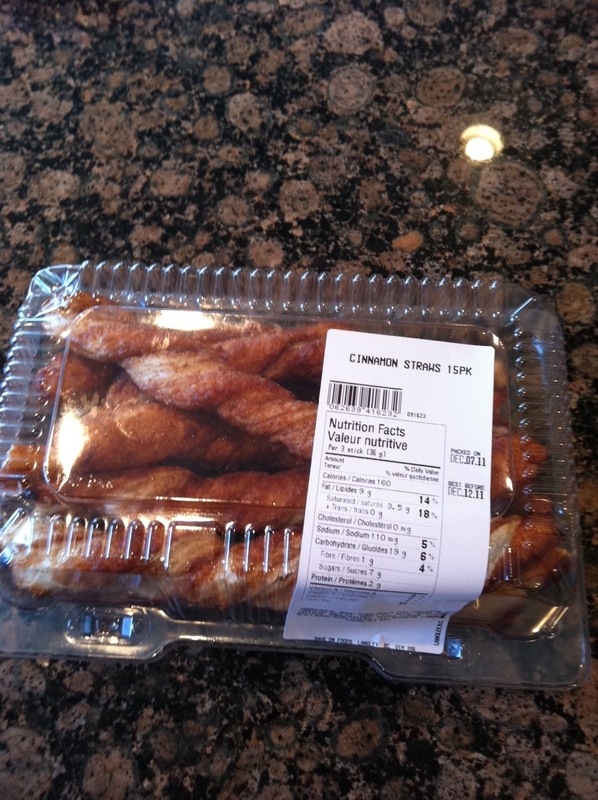 Cinnamon Straws – My kids LOVE the Cinnamon Straws from Starbucks. I’ve attempted to make them at home, but honestly, Save on Foods makes them just like Starbucks for a fraction of the price! I usually buy two boxes at once and freeze one. I seriously drive across town for these babies! For entertaining they look really cool displayed in a square vase…if your vase is lower, just cut them in half. 7. Tzatziki – I’ve made this from scratch too, but it’s a lot of working peeling, seeding and shredding the cucumbers, salting them, draining them….all for a dip! And sometimes it doesn’t turn out the best. 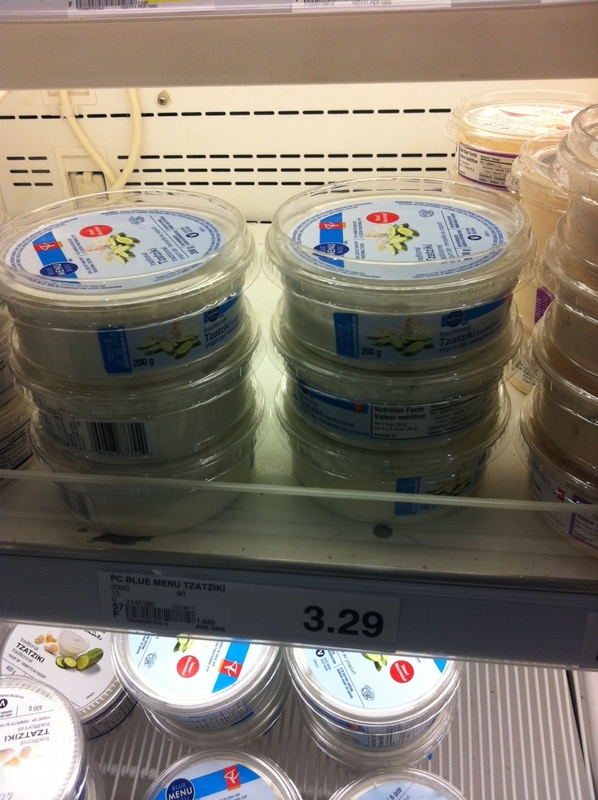 I really like the President’s Choice Blue Menu Tzatziki from Superstore. 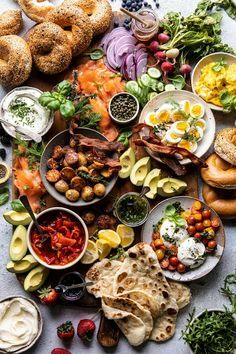 It’s awesome with a Greek meal or serve with salted pita chips for an appie. 8. 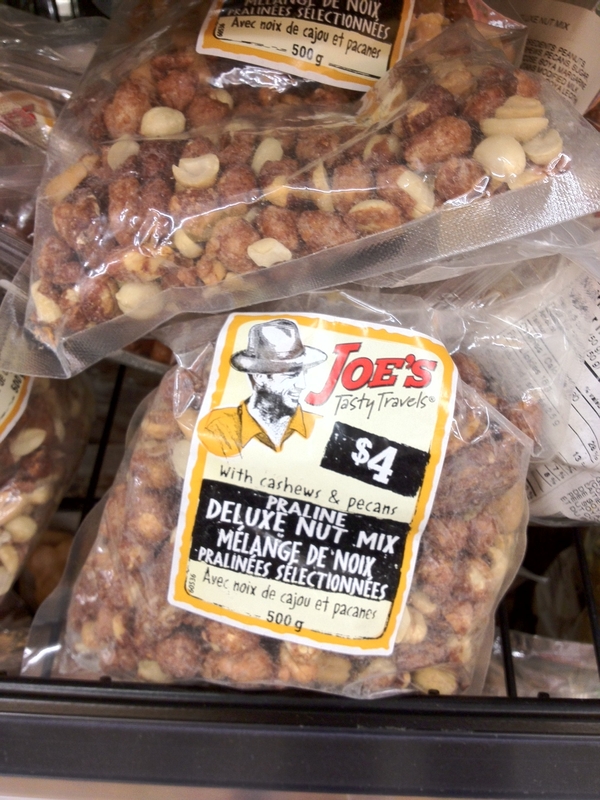 Candied Nuts – Walmart carries a variety of Praline Nuts by Joe’s Tasty Travels. I’ve tried most of the different varieties and they are really good. Serve on their own or use in recipes such as salads that call for candied nuts!